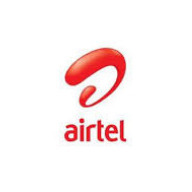 For some months running, Airtel data plan of N1000 for 3gig has been a big life saver especially for Android users as it has been confirmed that it doesn't consume data excessively like the one of N1500 for for 3gig does. It is also a better alternative to glo N1400 for the same 3gig. • Get an Airtel sim, it works on both new and old sims. • Also get Airtel N1000 recharge card • Android phone that has its IMEI changed to BB10 IMEI. MTK devices like Techno,Infinix , Gionee, Innjoo, etc gives a better result. •After you have recharged successfully, you will receive instant 1GB of data and also N1000 for Airtel to Airtel calls. To check your bonus data and airtime, dail *556#, which is the same code for checking account balance on MTN. • Next , dail *431# to subscribe for Airtel BIS of N1000 for 3GB. N1000 will be deducted from your account and you will be given 3GB. You can check this using *140# . That's it, N1000 bonus airtime plus 1GB bonus data plus 3GB BIS data equals Airtel 4GB of data plus N1000 airtime for just N1000. • the 4GB can be used on PC via hotspot tethering. • The bonus 1GB data works on all device but if you want to enjoy the extra 3GB BIS data, you have to change you phone's IMEI by following the link given earlier. If you have any trouble with these steps or you have any contribution, please use the comment box to let us know, as your comments are appreciated.